evo front clip, widen fenders, everything shaved, ranger taillights. 6 inch body drop laying door. 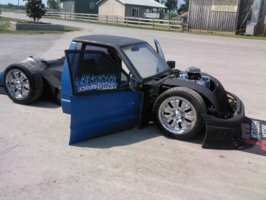 finish build and clean all body work up with custom 6 inch cowl hood.